If you are currently in the fields planting, or just finishing, optimizing your seed investment is always top of mind. 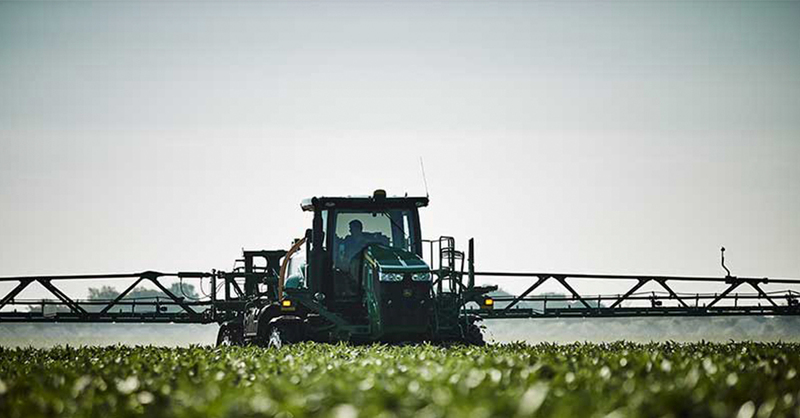 Sprayer applications are a critical part of your operation that often get overlooked when managing your crops. Climate FieldView™ tools can play a key role in tracking your herbicide schedule and, with field health imagery, provide you with data to help determine whether fungicide and insecticide applications may be necessary during the growing season. Climate FieldView can also give you an accurate comparison of yield versus inputs to help you measure return on investment for your sprayer applications. Set up your sprayer in the Climate FieldView™ Cab app – This important first step will enable you to enter information that can help you track crop protection products in your fields with a Climate FieldView Drive. For video and written instructions, click here. For a sprayer compatibility list, click here. Preload an application and assign it to a field – You can now preload products in Climate FieldView that you will be applying with your self-propelled or pull-type sprayer. You can capture tank mixtures of up to eight different products, amounts, and base rates. For details on preloading a sprayer application in the FieldView™ Cab app, click here. Share application data with your agronomists or dealers – Evaluate your inputs by sharing application data, including a new application summary report which includes the map layer and machine performance information, with a FieldView Cab app print and email feature. Learn more now. Compare yield data versus application data by field zone – Once you have yield data, you will be able to select a specific portion of the field to run a region report to evaluate how your sprayer applications may have impacted yield. Additionally, this region report feature will work for up-loaded shapefiles and SSURGO soil map zones for a better understanding of crop performance within field zones. Climate FieldView™ can help you get all your field data in one place so you can use it to identify in-season issues, mitigate yield loss, and confirm your input decisions. For more information, contact your Climate FieldView dealer, or the Climate Support Team at (888) 924-7475 or support@climate.com.